Having looked at the sources of some of the essential minerals, let’s now focus on Vitamins. Although nature has blessed us with abundant vitamins and minerals in plants, it has become a fashion to pop a multi-vitamin pill, thereby creating a billion dollar industry in itself. It is my firm belief that our bodies absorb or process vitamins better when consumed from natural sources. Unless there is a critical deficiency, there is no need to rely on these pills. Understanding the plant sources and meal planning the right way will ensure you get your daily dose of vitamins. To begin with, let’s look at Vitamin A. 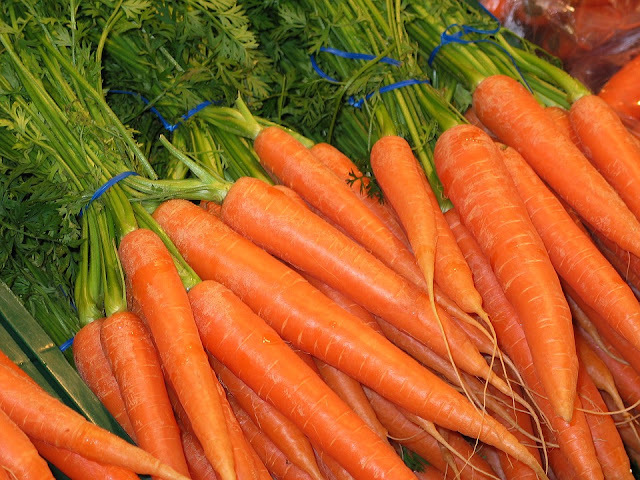 As kids, the popular health advice that we often heard was “Eat carrots, they are good for your eyes”. So much so that carrots have become synonymous with Vitamin A.
Vitamin A is not only essential for your eyes but also for better immunity and cardio-vascular disease prevention. Our body gets Vitamin-A from a source of phyto-nutrients found in plants called carotenoids. Alpha-carotene, beta-carotene, beta-cryptoxanthin belong to this group of carotenoids. Among these, beta-carotene is the most effective as it gets converted to twice as much Vitamin-A as compared to the other two. Apart from carrots, here are the other sources of beta-carotene and overall carotenoids (Data Source - Indian Food Composition Tables - 2017). 1. As you can see, green leafy vegetables have 2-4X times carotenoids as compared to the popular carrots. When our grandmothers used to say “Keerai kannukku nalladhu” (greens are good for your eyes), they are 100% correct. 2. Grains and legumes have very little carotenoids when compared to veggies and greens. Increasing the proportion of greens and vegetables, especially the ones in orange colour is the only way to get your daily requirement of Vitamin A. 3. The miracle green “Drumstick leaves” features on top of this list too. Including this green regularly will ensure you get adequate iron, calcium and Vitamin A. 4. Include mint, coriander and curry leaves too on a daily basis. Most of our Indian recipes incorporate these 3 greens so well that we don’t need to look for supplements or imported super-foods. 6. Given that summer is upon us in full swing, do gorge on fresh, juicy watermelons, muskmelons, mangoes, guavas and papayas. The summer heat affects our eyes by causing redness and irritation. Nature fixes this issue through such seasonal fruits. So amazing, isn’t it?